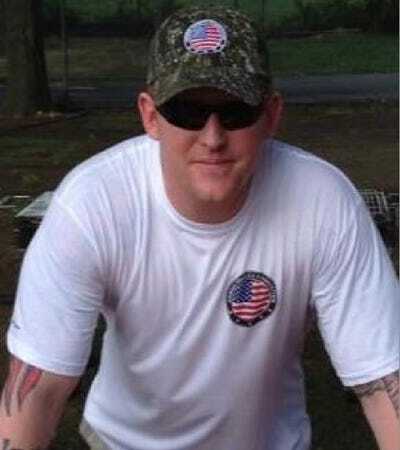 FacebookFormer Navy SEAL Robert J. O’Neill. Former Navy SEAL Robert O’Neill has apparently been telling people he shot Osama Bin Laden during a 2011 raid on the Al Qaeda leader’s compound for several years now. However, O’Neill’s story only became widely known in recent days. His public debut began on Oct. 29 when Fox news announced plans to air a two-part documentary entitled “The Man Who Killed Osama Bin Laden” featuring an interview with the SEAL who fired the fatal shot. On Monday, SOFREP, a well-regarded website dedicated to covering national security and the US special operations forces community, reported O’Neill was the person who would be appearing in the documentary. In his interview with the Post, O’Neill said he decided to go public after speaking with families of people killed during the September 11th attacks at the 9/11 Memorial Memorial Museum in Manhattan. Rep. Carolyn Maloney (D-New York) spoke to Business Insider on Thursday and said she arranged for O’Neill to appear at the museum for a ceremony after she encouraged him to donate the shirt he wore during the raid to the facility. Maloney told us what O’Neill said to the families at the ceremony at the museum. However, she also said it was not the first time she heard him discuss his role in the May 2011 raid. 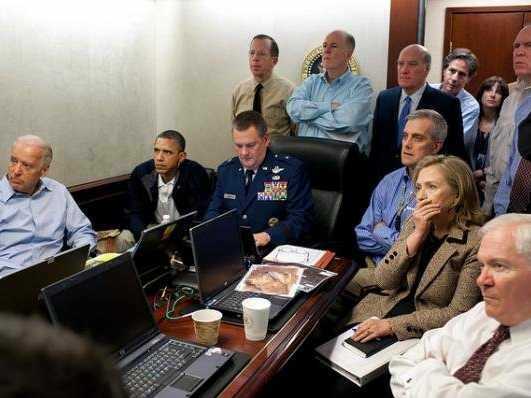 President Barack Obama and top aides watching the raid on Osama Bin Laden’s compound from the White House situation room. Maloney said she “knew” about O’Neill’s role in the shooting when she met him as he had already shared the story. Hours after O’Neill’s interview with the Post was published, Reuters released a story citing an anonymous source who said other SEALs disputed O’Neill’s claim he fired the fatal shot at Bin Laden. Since leaving the Navy in 2012, O’Neill has worked as a public speaker and given lectures on his experiences as a SEAL. O’Neill could be in hot water for going public about his participation in the raid. In 2012, Matt Bissonette, another SEAL who was involved in the operation, released a book about his experience. Earlier this summer, the Department of Justice launched a criminal investigation into whether Bissonette illegally leaked classified information. The Pentagon has provided a pair of statements to Business Insider indicating O’Neill could face similar consequences. O’Neill has not responded to multiple requests for comment from Business Insider. For her part, Maloney said O’Neill was a “great patriot.” She also said she would like to see him donate other items to the 9/11 Memorial. Though Maloney said she was certain O’Neill still has the magazine used in the gun that killed Bin Laden and has not used it since the raid, she does not think he has the whole weapon. “I think the gun probably went back to the government,” Maloney explained.